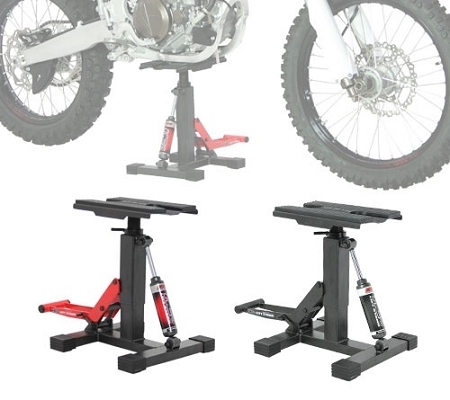 Top plate is height-adjustable to fit under most dirt bikes. 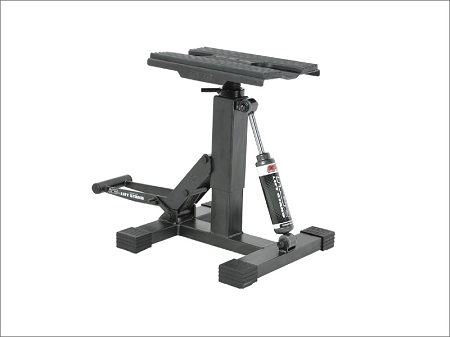 Easily operated durable double long-levered jack-pedal. Easy "Safety Hold Hook" system prevents any accidents. Durable top plate, base frame and main shaft design. Available red and black colors.